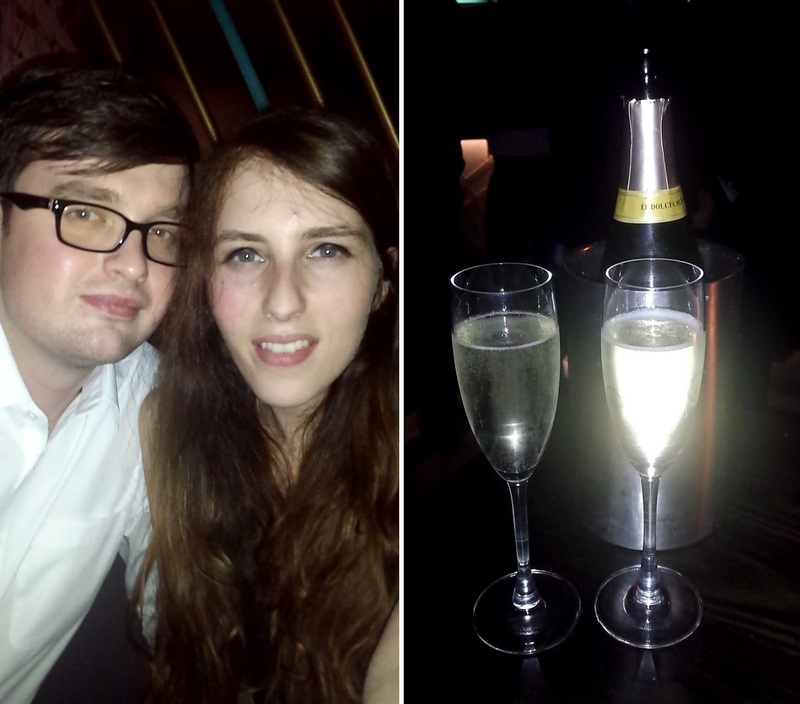 Friday nights in the city have become my favourite time and place to go out! Everyone is pleased it's the weekend and up for having a good time and it's a great atmosphere, so searching for city, cocktail bars has become a bit of a pastime for me! When I heard there were a couple of new Dirty Martinis opening I was really excited to try them out. 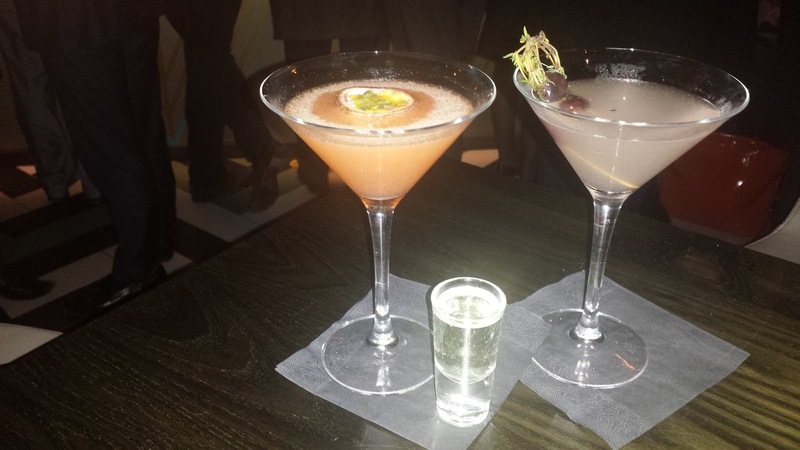 I love every other Dirty Martini that I have been to, so a brand new one was always going to be amazing - plus they were both in the city! It was all clean and shiny, the menus were in perfect condition - you could tell it's new and being well looked after! We decided to try out the Monument one a few weeks ago as Andrew works just down the road! Luckily for us Dirty Martini have extended their happy hour to 9pm on Fridays and midnight during the week through January which meant that all the martinis we had were only £4.50 each which is a pretty good deal for London! 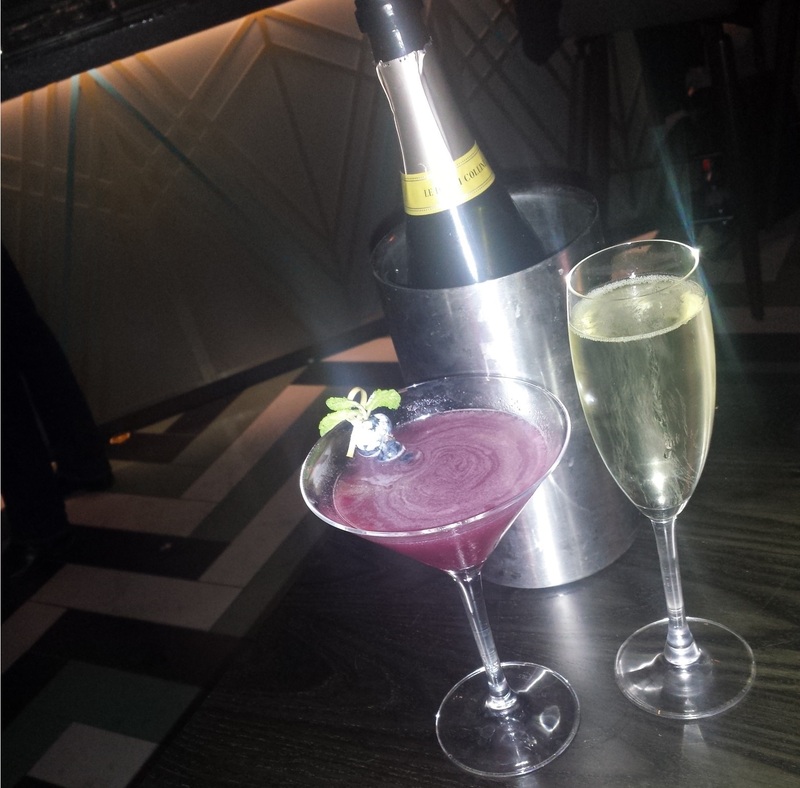 As well as that, My Prosecco crazy boyfriend was pleased with the £10 off of bottles which is another happy hour deal! 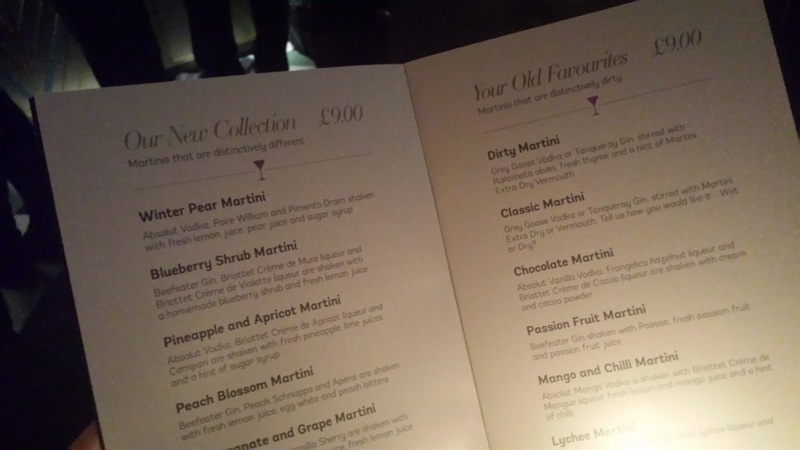 As for the cocktails, there was a huge choice of martinis. They were all really yummy and I discovered my new favourite drink ever! 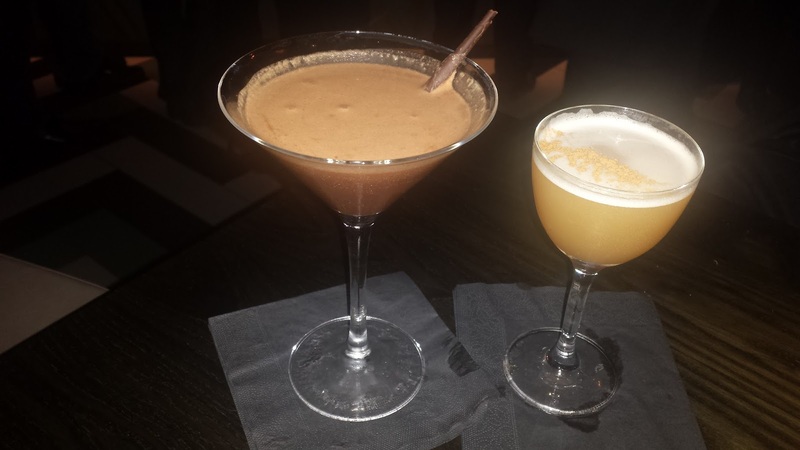 You guys might know that I am always on the hunt for the next chocolate cocktail and I have found the best one yet - it's a chocolate martini made with Vanilla vodka and all these tasty sounding liquors. 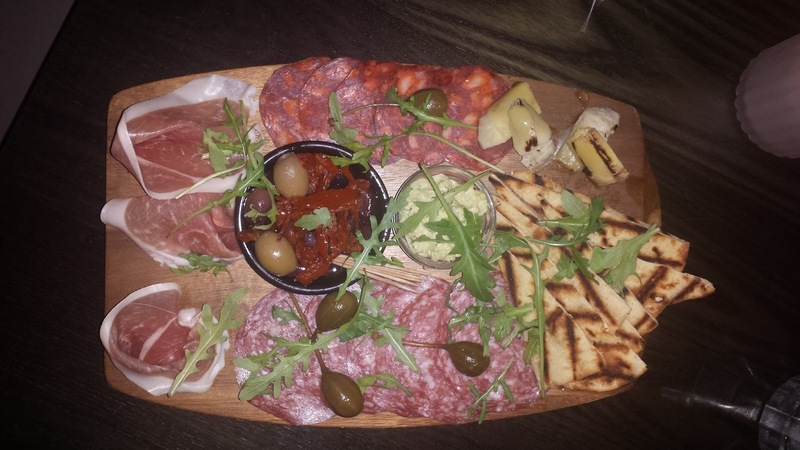 Whilst making our way though the cocktail list, we ordered a Mediterranean platter to snack on full of cured meats, olives, humus and flat breads. It was really tasty and the sized perfect picky bits to eat while you chat! Needless to say, we both really enjoyed our night there and will be going back as soon as we get the chance. 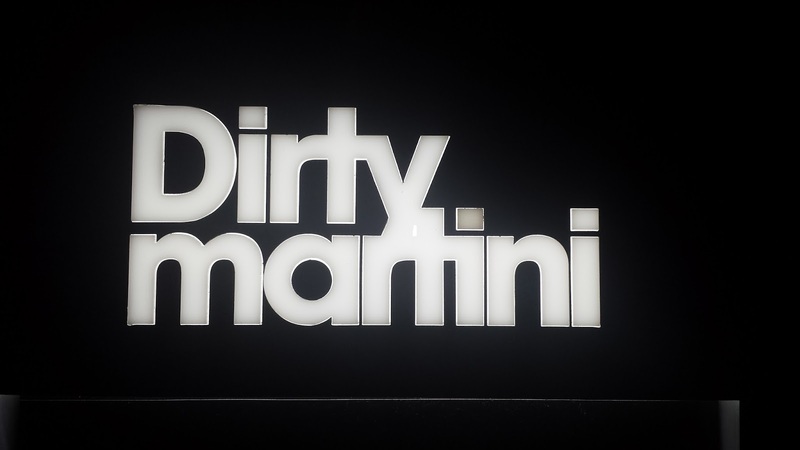 Have You Been To Dirty Martini? *Dirty Martini kindly covered the food and some of the cocktails for the night. This does not effect my review!